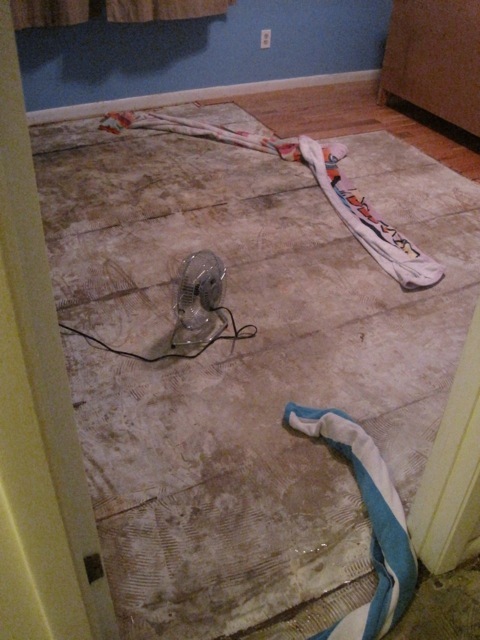 …we had a little leak. 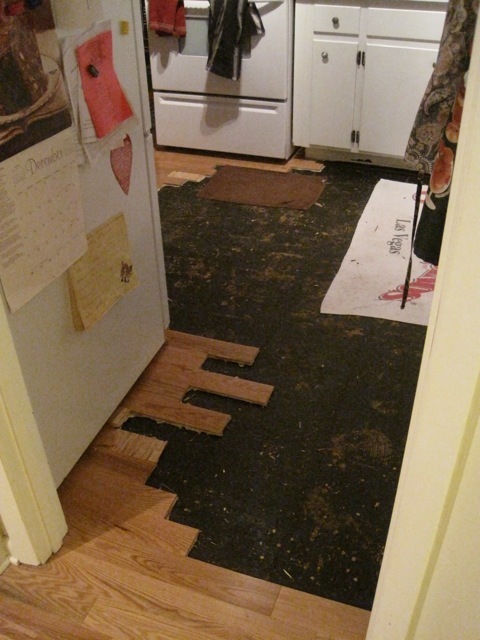 A few weeks ago, we noticed that the floor in front of the dishwasher was buckling. 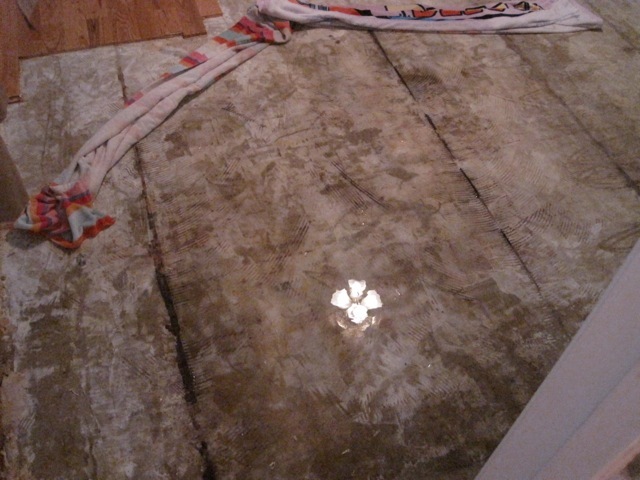 We thought we had a leaky dishwasher. Then the buckling spread in front of the sink. 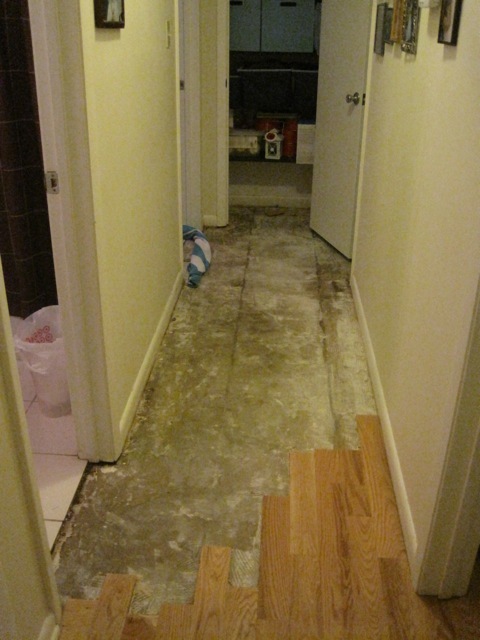 Then water started squishing up out of a small hole between the wood floor in our bedroom and the tile in our bathroom. So we had a plumber and a leak detection specialist come out and they found a hole in the roof that leaked water down through the wall and spread to the kitchen and the bedroom. I dub this Lake White. Artie did an experiment and it turns out that when water goes down the bathtub drain, it comes out through the floor in the bedroom. Swell. A roof leak AND a plumbing leak. Occam’s razor and Murphy’s law are competing for our house. We’ll post what we can, but just figured we should let you know why we don’t have much to say this week. We’ll be back as soon as we can, we promise! I think you should do a construction worker themed lunch box meal in honor of your house getting torn to pieces.